It’s been a brisk and cold winter this year and I’m sure most of you (including me) are ready for sunshine and warmer days ahead. 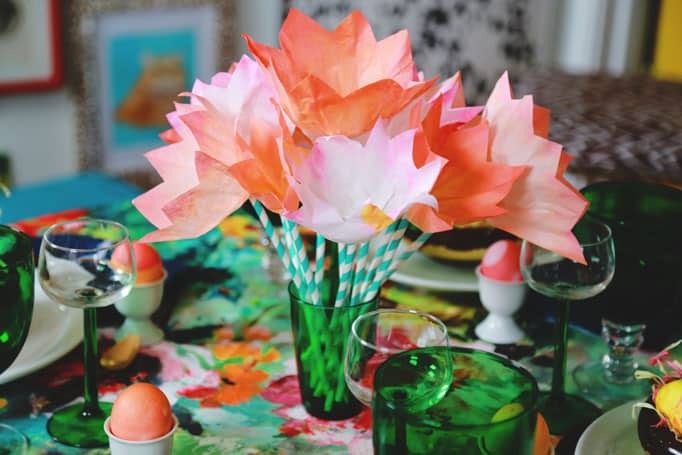 Get the kids excited about spring with these gorgeous paper flower crafts. 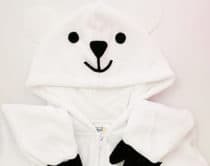 The best part is that many of these are made from simple materials like paper plates, tissue paper and even coffee filters! 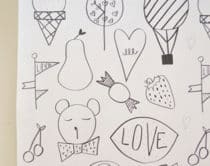 Create pretty painted flower art or make stunning dye flowers, paper crowns and more. These flowers will stay fresh and dazzle longer than any fresh bouquet. 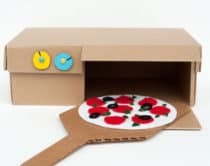 How are you celebrating spring time with your kids? 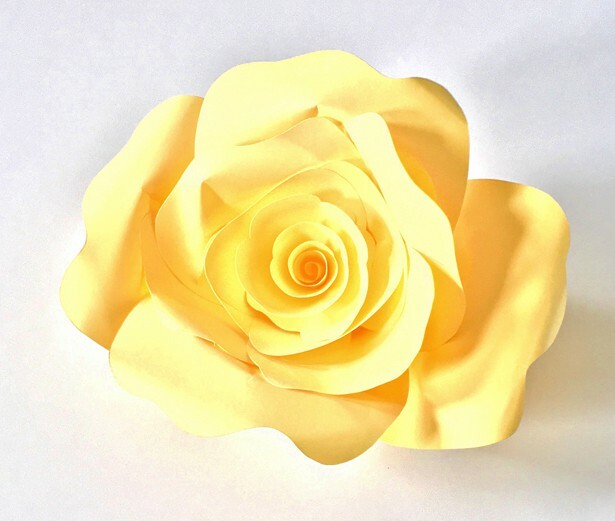 Get the free printable template to make these gorgeous paper roses. Spin art is always a hit with the kids! Find out how to turn doilies into colorful blooms. 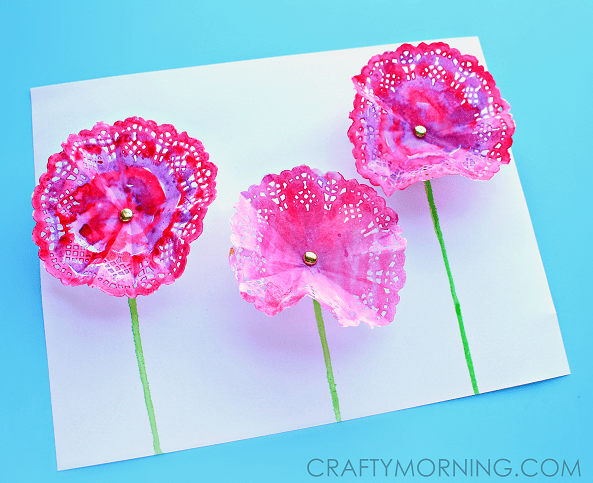 I love this unexpected use for doilies to turn them into vibrant 3D shaped flowers that can be turned into cards or decorative art. 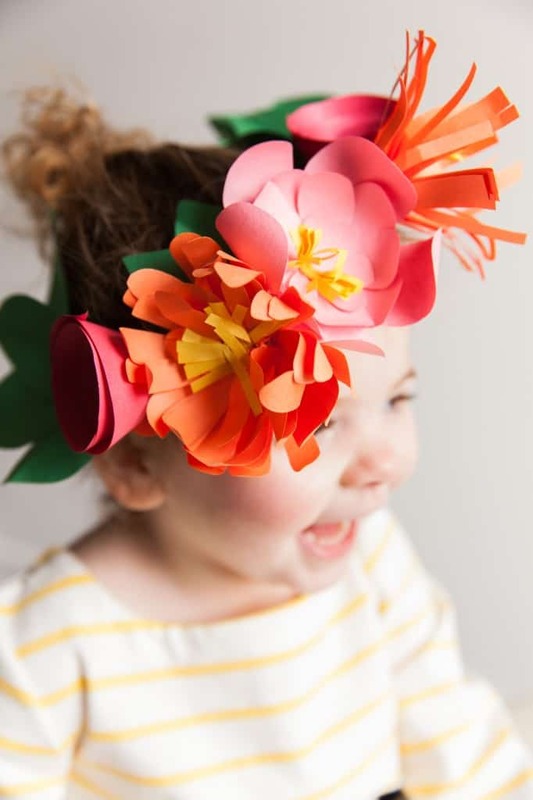 As the title suggests, this is indeed the “cutest paper flower crown you’ll ever see.” Find out how to wrap around construction paper to make a beautiful flower crown for your little princess. 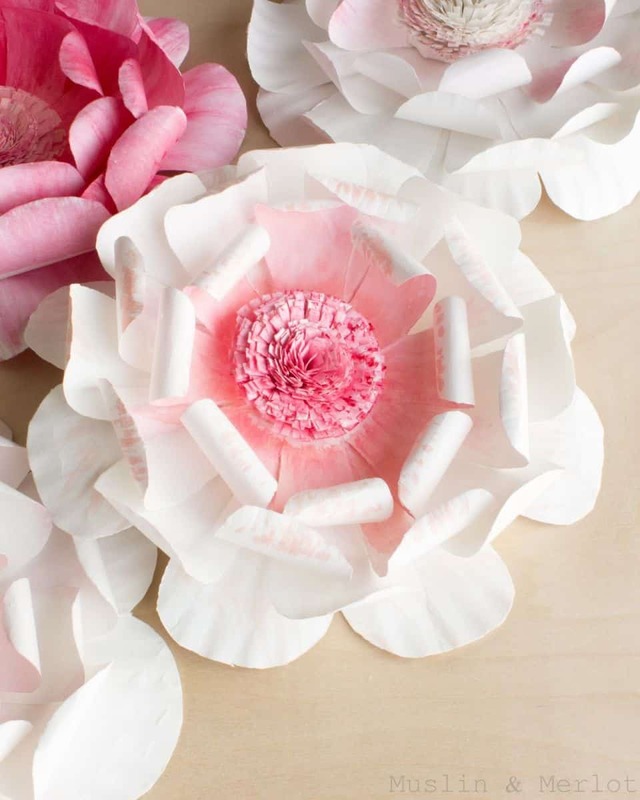 Hard to believe these pretty flowers are made from plain paper plates! Check out the amazing details including how to create the light hued tips on the petals. 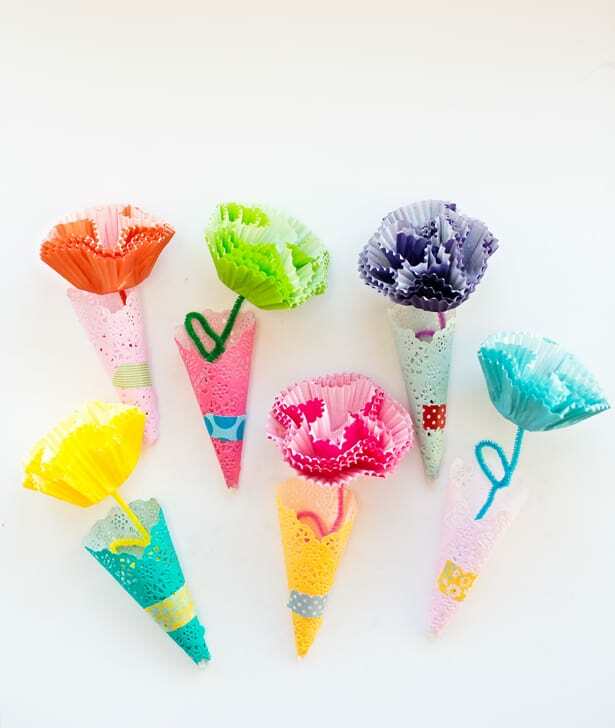 Kids will love making these sweet individual flowers from colorful cupcake liners! 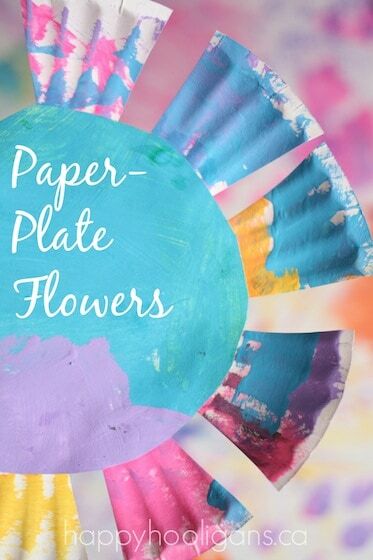 Turn coffee filters into bright shades of dyed flowers. 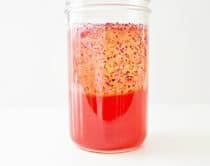 Better yet, save some of that Easter dye to make these to create a springtime Easter setting. 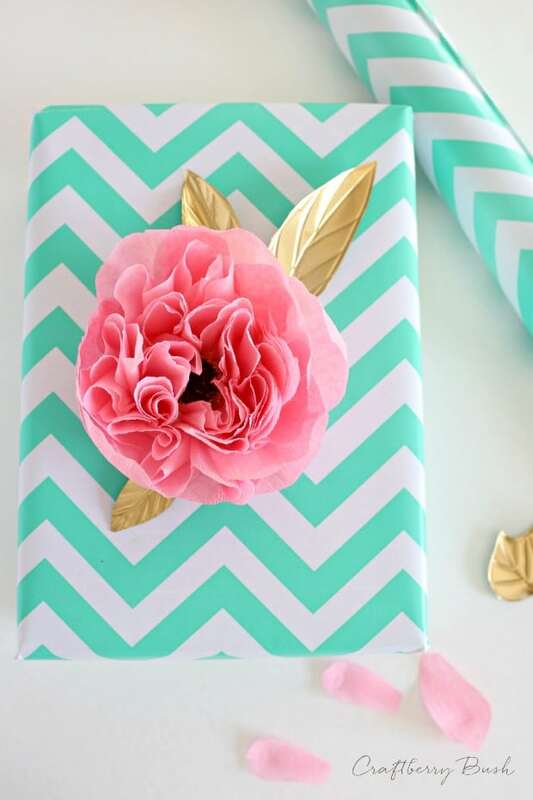 Crepe paper never looked so good when folded into these pretty pink cabbage roses. 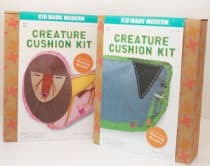 They also add that extra special touch to your gift packaging. 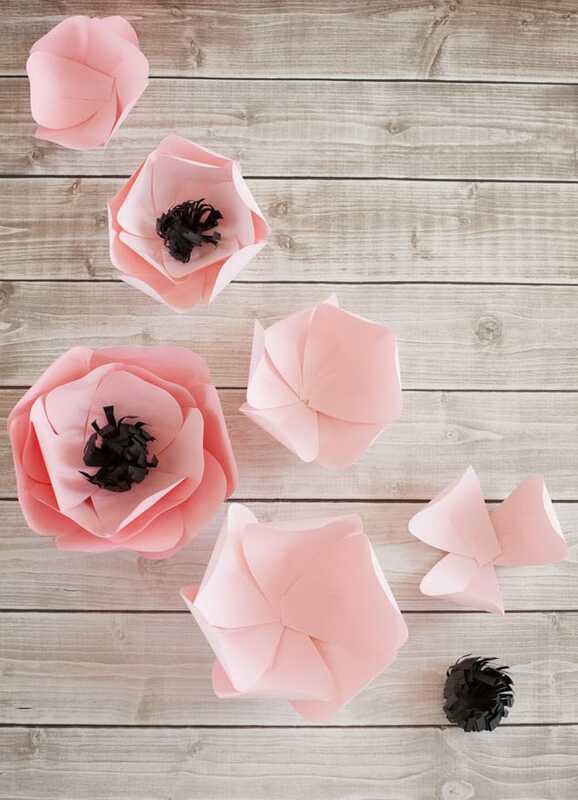 Lots of folding is involved here but an easy petal template and the final results make it worth it to make a few of these cute paper flowers. 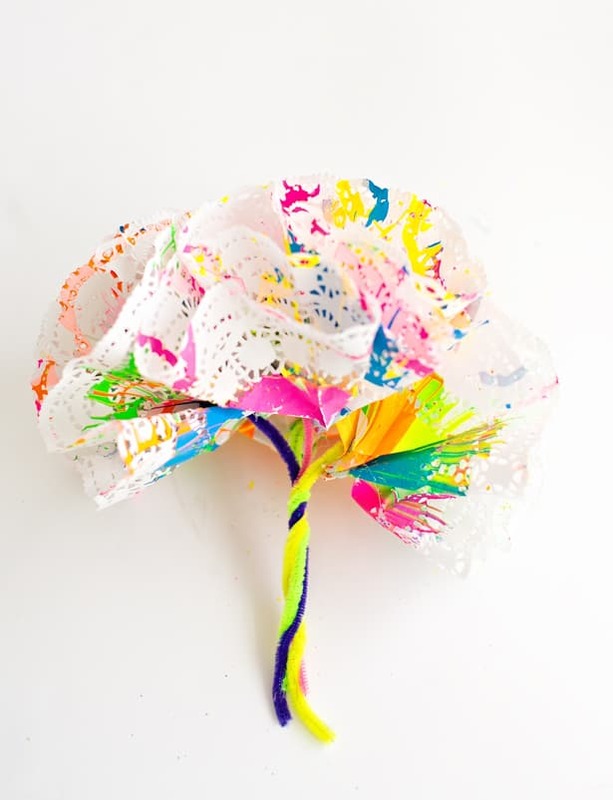 A beautiful open-ended art project for littles that produces the most colorful paper flower blooms you’ll ever see. 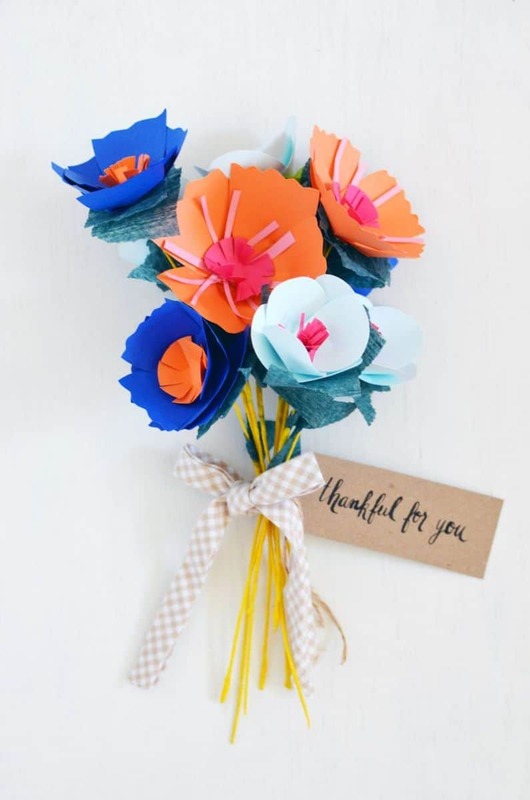 Make a lovely spring bouquet of paper flowers with variety in colors and shapes. 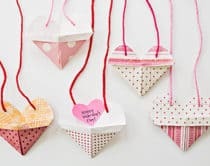 These would make such pretty gifts for teachers or Mother’s Day. 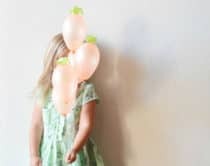 A great beginner flower craft for the toddler and so easy to make from a paper plate! 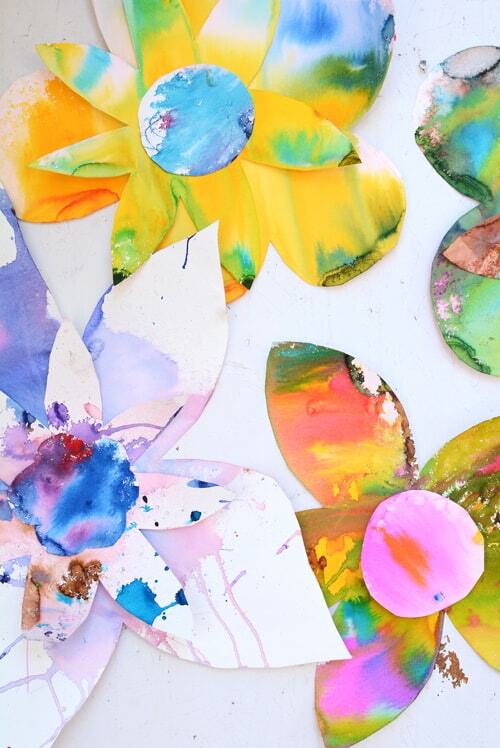 Create stunning coffee filter flower art collages in all colors of the rainbow to display for a fun spring inspired art project. 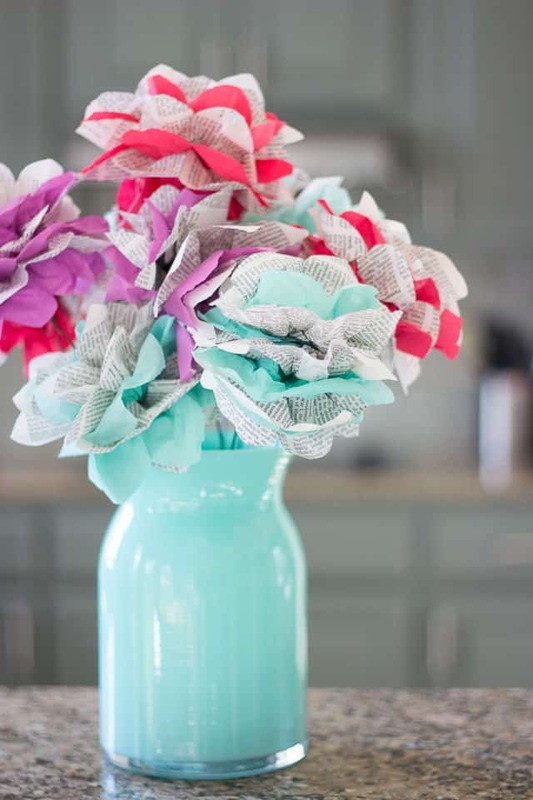 Recycle and reuse by turning old book pages into pretty paper flower bouquets! 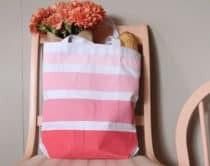 Take a look at more springtime crafts and projects here!